JUST ONE OF OUR BIGGEST BOX OF HERBS!!! Included is 2 premium white corrugated cardboard storage boxes to keep your herbs organized on your altar! 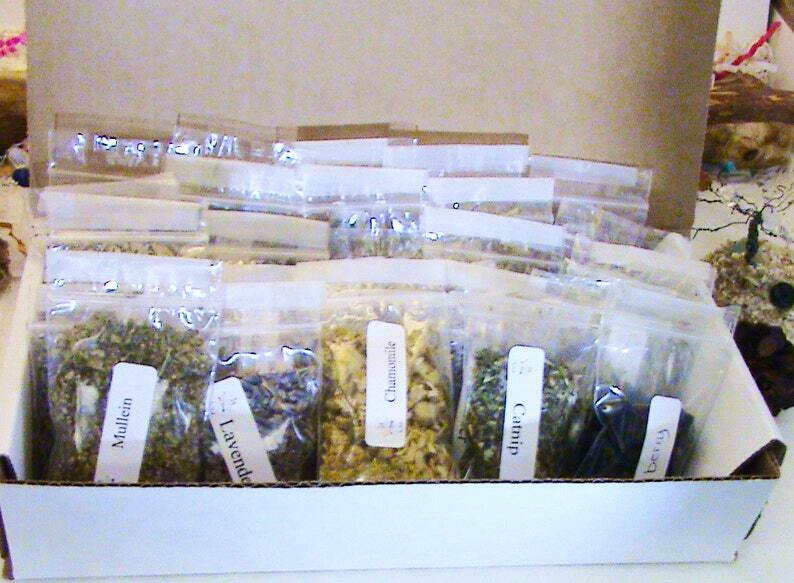 Please type your herb choices in the message to seller box or let me choose them for you! You CAN MIX AND MATCH ANY OF THE HERBS FROM THE LIST BELOW! You can get 2 of each herb if you want too! However you want to do it, you choose a total of 80 2x3 bags! Choose 80 different herbs and receive them in two premium white herb boxes for easy storage! Looking for more great witchcraft tools, altar kits and herbs? Do you want to start your own metaphysical business from home with Strega Luna Magickal Home Gatherings?